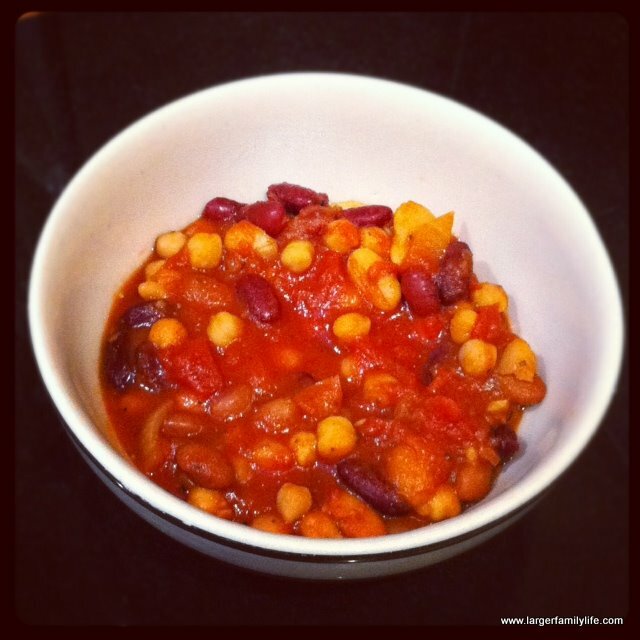 Here is a hot’n’hearty recipe for those cold, dark, winter days. After all, there’s nothing like a chilli to warm those cockles. Cheap, nutritious, quick and tasty, this is a great all-round recipe which is just as great wrapped up in a tortilla or served on a bed of rice or cous cous, or simply eaten on its own. Salt, pepper and chilli powder to taste. Drain beans, rinse and toss into pot together with onions and garlic. Season and add chilli powder to taste. Cook in slow cooker for at least six hours on low. It’s so quick and easy it took longer to write the recipe than it did to make it! Now that sounds nice, definitely going to be trying that one 🙂 farting power here we come! Lol! Make sure there’s adequate ventilation in the house!